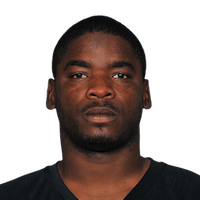 Published: Nov. 30, 2014 at 03:03 p.m.
Jacksonville Jaguars linebacker J.T. Thomas scores a touchdown on a fumble recovery after New York Giants quarterback Eli Manning was strip-sacked. Published: Dec. 16, 2013 at 02:42 a.m.
(10:04) (Shotgun) E.Manuel pass short left intended for C.Spiller INTERCEPTED by G.Hayes at JAX 39. G.Hayes to BUF 33 for 28 yards (E.Manuel). Published: Dec. 15, 2013 at 01:30 p.m.
Buffalo Bills quarterback EJ Manuel has his pass intercepted by Jacksonville Jaguars linebacker Geno Hayes and returned 27 yards. Published: Dec. 5, 2013 at 11:50 p.m.
Houston Texans quarterback Matt Schaub's pass is intercepted by Jacksonville Jaguars linebacker Geno Hayes for an 11-yard gain to the Texans' 21-yard line.